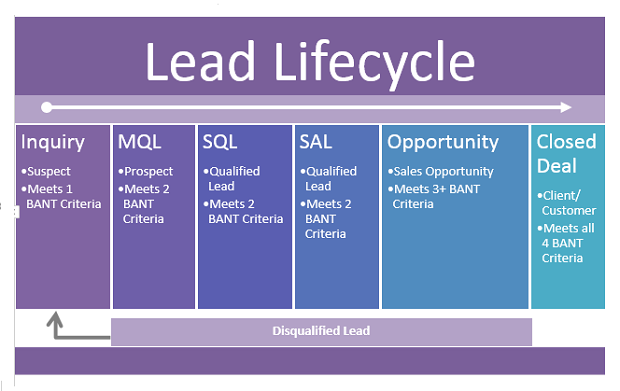 Last week, we defined the Inbound Marketing term “Marketing Qualified Lead” (MQL), and today, we’re moving onto the next stage in the lead lifecycle – “Sales Qualified Lead”, or SQL for short. To quickly recap – in our previous article, we concluded that a “lead” was simply a prospective customer, created when a business or individual indicates an interest in what you’re selling, and/or provides a piece of contact information. We also concluded that not all leads are created equal, and that a Marketing Qualified Lead was a lead that is both a good fit for your business and is also displaying an active interest in learning more about it. Only when a lead ticks both of these boxes do they become an MQL, and thusly qualify for the receipt of direct marketing messages. If a Marketing Qualified Lead is a lead that is deemed ready to receive direct marketing messages, a Sales Qualified Lead is simply a lead deemed ready to receive direct sales messages. The question that often arises at this point is this: how do you tell the difference between an MQL and an SQL? And the answer comes down to definitions. Every company that employs an Inbound Marketing strategy will have (or rather should have) sets of lead qualification criteria that determine where a lead is in the lead lifecycle. What constitutes a Sales Qualified Lead will differ between companies and sometimes even within companies, as it’s not uncommon for marketing teams and sales teams to disagree on how to qualify leads. If this sounds familiar, see our post, ‘4 steps to Bring Your Inbound Marketing and Sales Teams Together’. However, generally speaking, the main difference between an MQL and an SQL is readiness and intent to buy. MQLs will be identified by the marketing department at the start of the lead nurturing process. They will be selected as ‘good fit’ prospects, and the aim will be to foster interest in products and services. When these MQLs show some form of intent to buy, the marketing department will pass them onto the sales department, at which point they become SQLs. You'll notice from the image above that reference is made to “BANT criteria”. What is this? 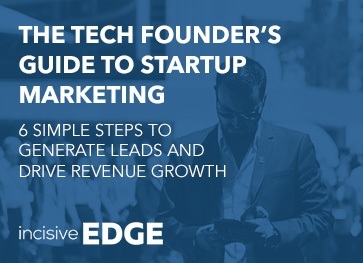 Well, every time a lead is identified, sales and marketing teams must assess four factors to determine how likely it is that the lead will eventually convert into a paying customer. These four factors create the BANT criteria, where BANT stands for Budget, Authority, Need and Timeline. The more BANT criteria a prospect meets, the more likely they are to convert into a customer somewhere down the line. It must be noted, however, that the BANT acronym is slightly flawed, in the sense that it implies that “B”, or Budget, must be qualified first. Arguably, “N”, or the Need for a solution that solves the problems, pains or challenges the company is facing should be qualified first. Perhaps Authority (i.e. the process of identifying if the lead is a decision-maker and has the authority to make a purchase) should come second, with Timeline (i.e. how soon they need the solution) third, and Budget last. That would create the new acronym NATB, which, emphasises priority – though doesn’t quite have the same ring to it. Either way, if a lead meets any two of the BANT (or NATB) criteria, they qualify as an MQL, and will be in receipt of lead nurturing marketing materials from the marketing team. At this point, the MQL must then be more thoroughly vetted by the marketing or pre-sales team to determine whether or not they are serious about purchasing. This may happen via an email, telephone call, or some other form of direct communication. If the MQL is found to be in genuine consideration of a purchase, the lead becomes an SAL (sales-accepted lead). The next stage is for all the information about the lead to be passed from the marketing team (and pre-sales team if applicable) onto the sales team, who will review the prospect, and decide whether or not the lead has real sales potential. If sales accept the lead, they become a Sales Qualified Lead, and the sales team will then work to communicate with the lead and identify if there is potential to close. 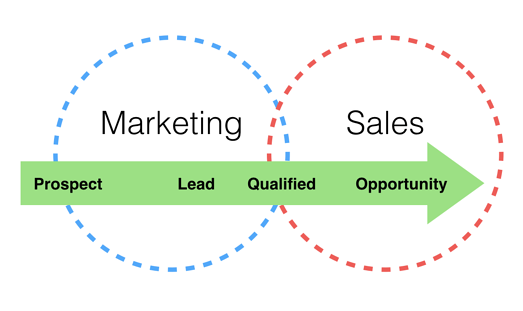 Beyond this point, if sales establishes that the lead meets three or more BANT criteria, the lead becomes a genuine sales opportunity, and if they do make a purchase they become a client – and the lead lifecycle is complete. 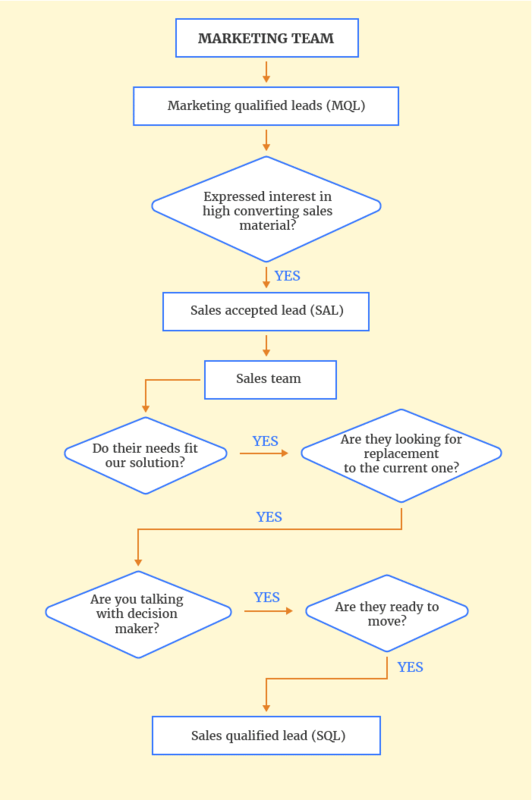 Both MQLs and SQLs are slap bang in the middle of the Inbound Marketing sales funnel. Different companies will have slightly different sets of criteria that leads must meet in order for them to progress from the stage of being an MQL to that of an SQL. These investigations into the lead will be based on demographic and firmographic information, and will include an evaluation of website activity and response to marketing materials. The crucial thing is to determine whether the lead has simply a passing interest about a product, service or solution, or is actually serious about buying. 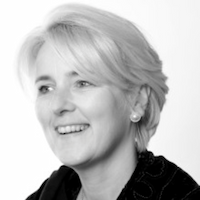 It’s a process that involves both sales and marketing working together, and, importantly, for the two departments to be in agreement as to exactly what it is that constitutes a Sales Qualified Lead. 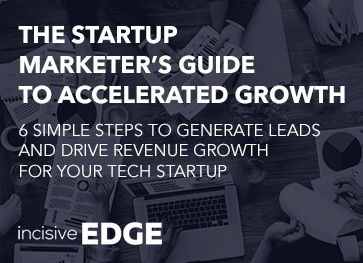 If you need help defining the lead lifecycle stages of the buyer’s journey at you company, or help with creating your content marketing strategy to nurture your Sales Qualified Leads into genuine sales opportunities, get in touch with the Inbound Marketing experts at Incisive Edge today. And don't forget to claim your free marketing consultation. Just look to the right. We’d love to share our experience with you and offer some strategic recommendations – based on your goals and objectives. 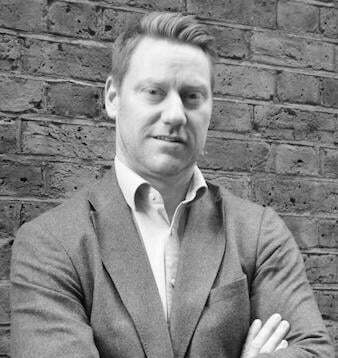 Just fill in your details here to book a free consultation with one of our tech marketing experts. What is a Segmentation Framework?